It is estimated that Americans leave 429 million vacation days unused every year. In fact, research from Project: Time Off found that as a nation we're taking a week less of vacation annually than we did 15 years ago. And even if we do take time off, many Americans are staying plugged into work – checking email and phone messages – so they don’t truly get away. And this isn’t a good thing. UW Health psychologist Shilagh Mirgain, PhD, explains that vacations are vital to our health and our physical and emotional well-being. And while she is a world traveler, Dr. Mirgain points out that taking a vacation doesn’t have to mean traveling across the globe. If you are fortunate enough to travel to a different part of the world, the experience can be truly eye-opening. Being a stranger in a foreign land, meeting new people and experiencing other cultures can help put life into perspective. Dr. Mirgain experienced this on a recent trip. “The act of traveling can be filled with challenges – delayed flights, traffic, unfamiliar cities, maybe even language barriers – and through our experiences we learn patience and can develop a mental flexibility that allows us to be more open to situations as they arise,” she comments. We also more fully realize our interconnectedness with everyone and the planet. Experiencing how other people live in different settings and cultures, we recognize that the problems we face in our daily life are experienced by others around the world. It is part of our common humanity. Through travel we witness the strength of the human spirit. That no matter what conditions humans find themselves in, they adapt, and try to make the most out of their situation. Having this awareness shifts our perspective about what’s wrong in our life so that we can approach our problems with a fresh eye and openness to generate creative solutions that are good for all. Being on the road puts everyone outside of their comfort zones, and it can be challenging when one person loves spontaneity while the other prefers a detailed itinerary. It’s important to recognize those differences and find ways to embrace them on the journey. Perhaps it’s being willing to stop at unexpected places along the way or committing to trying a new activity at your destination – building in spontaneity among your plans can help both of you gain the most of your trip. And, it can lead to memories of a lifetime. She notes that for many adults, their fondest childhood memories are of family trips. And, she says, research has actually shown that travel experiences – and even anticipating an upcoming trip – make us happier than any possession we could buy. 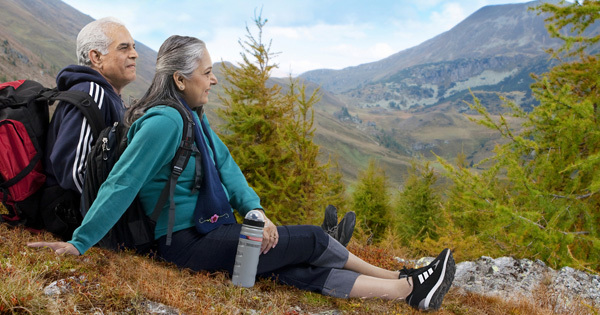 According to the landmark Framingham Heart Study – the largest and longest running study of cardiovascular disease – men who did not take an annual vacation were shown to have a 30 percent greater risk of death from heart disease than those who did travel. And the news isn’t much better for women – those who took a vacation only once every six years or less were almost eight times more likely to develop coronary heart disease or have a heart attack compared to women who vacationed at least twice a year. To no one’s surprise, several different studies have shown that vacation and leisure activities help individuals reduce their stress levels and improve their emotional and mental health. And the benefits are almost immediate – after only a day or two, 89 percent of people had a significant drop in stress. If your workplace is one that doesn’t encourage employees to make the most of their vacation time, consider this – research also shows that employees who take time off are more productive and focused, less burned out and have better morale.